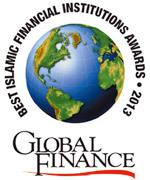 Global Finance presents the winners of its awards for the World’s Best Islamic Financial Insititutions 2013. With Islamic banking assets predicted to pass the $1.1 trillion mark in 2012 and Islamic finance growing at a much faster pace than conventional banking in regions such as the Middle East and North Africa, shariah-compliant banks are at a turning point. The difference is striking: Islamic finance boasts a five-year compound annual growth rate of 20%, versus less than 9% for other types of banking. 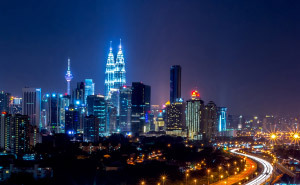 Malaysia, the Gulf Cooperation Council countries and MENA regions are still the most dominant centers when it comes to Islamic dealmaking and capital markets. But even within the GCC region, where Islamic finance is fairly well established in markets such as Saudi Arabia, Bahrain and UAE, some countries—like Oman—only introduced legislation permitting Islamic financing in 2012. In North Africa there is optimism that the Arab Spring will give birth not only to a new generation of more democratic political leaders but also to new forms of shariah-compliant financial services. However, the passion for ethical financial services is not necessarily matched by the regulatory resolve in these countries for creating a level playing field, which is necessary for Islamic finance to flourish alongside conventional financial services. The same is also true in Europe, where despite a sovereign debt crisis and slowing economic growth, markets outside the UK still flirt with Islamic banking but struggle to take the next steps forward to make it a reality. One positive sign is that talk of a sovereign sukuk by the UK Treasury resurfaced again this year. Last year was certainly the year of sovereign sukuk, with Malaysia, Turkey and Qatar all launching significant deals. HSBC predicts that 2013 will be another landmark year for sukuk issuance, particularly in the Gulf markets, as borrowing costs decline. While sukuk is the most popular Islamic financial instrument, the capacity of Islamic banks to support highly complex structured deals—whether on a syndicated or stand-alone basis—is also gaining ground. 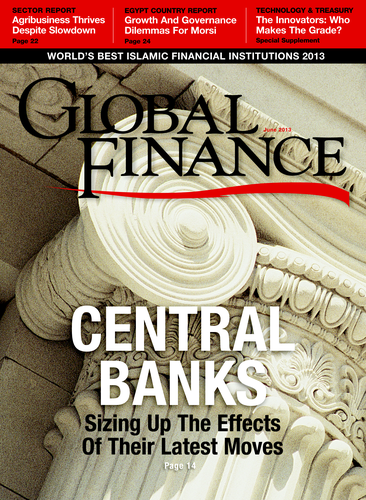 Some of this year’s winners in Global Finance ’s Islamic Financial Institutions Awards participated in landmark deals demonstrating their balance-sheet capacity to hold their own against conventional counterparts and to support new and innovative Islamic financial structures leveraging a wide range of assets. Challenges remain, however. For Islamic finance to truly flourish and spread to new markets, it needs to enjoy wider appeal among the non-Muslim community. Islamic financial institutions still have considerable work to do to reduce their cost-to-income ratios in order to become more profitable and compete against conventional financial institutions. In the area of takaful (Islamic insurance), shariah-compliant providers, particularly in the GCC region, face a much higher cost base and lower levels of profitability than conventional insurers, despite the fact that takaful is growing at a faster pace than conventional insurance in some of these markets. Risk management and compliance remain a weakness of the industry as Islamic financial institutions align themselves with international standards such as Basel III. A number of Islamic banks are also overexposed to real estate, and the quest to leverage other types of assets outside this sector continues. The sixth annual Global Finance Islamic Financial Institutions Awards honor the leading shariah-compliant firms in the regions, countries and product areas in which Islamic banking has an established or growing presence. The awards criteria incorporated a range of subjective and objective factors, including customer service, growth in assets, profitability, geographic reach, strategic relationships, new business development, innovation in products and banks’ financial stability. The selected winners represent best-in-class Islamic financial institutions that not only stand out in terms of financial performance, profitability, market share and assets but also continue to innovate and strive for greater operational efficiency through enhanced risk management and technology. They are leaders in their home markets who are also expanding globally in order to drive growth and sustain future profitability.